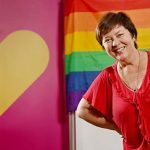 Julie is renowned across Australia for her warmth, humour, intelligence and commitment to social justice. 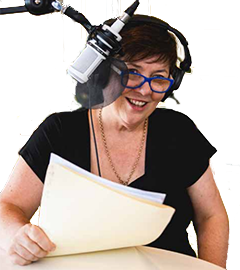 After 20 years as a broadcaster with ABC Radio, ABC TV and Network 10, she is now a freelance journalist, facilitator, trainer and speaker. From private workshops with small groups of people to huge public events, Julie has built a reputation for bringing people together, getting them communicating and helping them achieve positive outcomes. For more information, contact Julie now. Julie has become an Ambassador for Targeting Cancer. She had oropharyngeal cancer treated with radiation therapy and chemotherapy in 2013, and is now back to her usual busy life. Over 100,000 Australians are diagnosed with cancer each year. In 2010, 21,235 cancers were registered in New Zealand. It is estimated that about half of them will benefit from radiation therapy as part of their overall cancer treatment. Watch this series of videos to follow Julie's treatment journey, from diagnosis and treatment to embracing the future. Encouraging & helpful information for Head & Neck Cancer patients, families, friends & clinicians. Links to evidence-based clinical websites. The primary purpose of this book is to give encouragement and hope to people with a diagnosis of head and neck cancer and their families and carers. BEFORE that infamous night in 1978 when 53 gay, lesbian and transgender activists were arrested in Kings Cross at the first Sydney Mardi Gras, many other passionate demonstrators were handcuffed in their fight for equality. Julie McCrossin was among them. Back when homosexuality was a criminal offence. Considered evil. A mental illness. In 1974 Penny Short lost her Teacher’s College Scholarship after she published a lesbian love poem in the Macquarie University student newspaper. In 1975 a teacher in a Catholic school, Mike Clohesy lost his job after he appeared on ABC TV advocating for the decriminalisation of homosexuality. “I was one of many people arrested at demonstrations in support of Penny and Mike,” Ms McCrossin said. “At the time I was so outraged at the cruelty of the attitudes to homosexual people, I felt angry and determined to keep protesting until we achieved change.